On our private Lamphun tour from Chiang Mai, we'll visit many beautiful ancient temples and Hariphunchai National Museum. Apart from exploring one of Thailand's oldest cities, we'll taste one of the best Khao Soi (Northern Thai food) in town and play with my rare Thai cats. Start our private Lamphun tour at Ku Chang Ku Ma. Ku Chang Ku Ma are a pair of ancient stupas from almost a thousand years ago. Dedicated to the first queen's war elephant and the queen's son's horse, these stupas are a highly revered shrine among Lamphun locals. Visit Wat San Pa Yang Luang. Wat San Pa Yang Luang is one of Lamphun's oldest and most beautiful temples with all the marvelous details. Go to Hariphunchai National Museum. Hariphunchai Museum was the residence of Lamphun's former rulers. We'll learn more about the city's history at the museum. Visit Wat Phra That Hariphunchai. This Lanna-style temple is the most important temple in Lamphun. Have local lunch at Khao Soi Ban Yong. 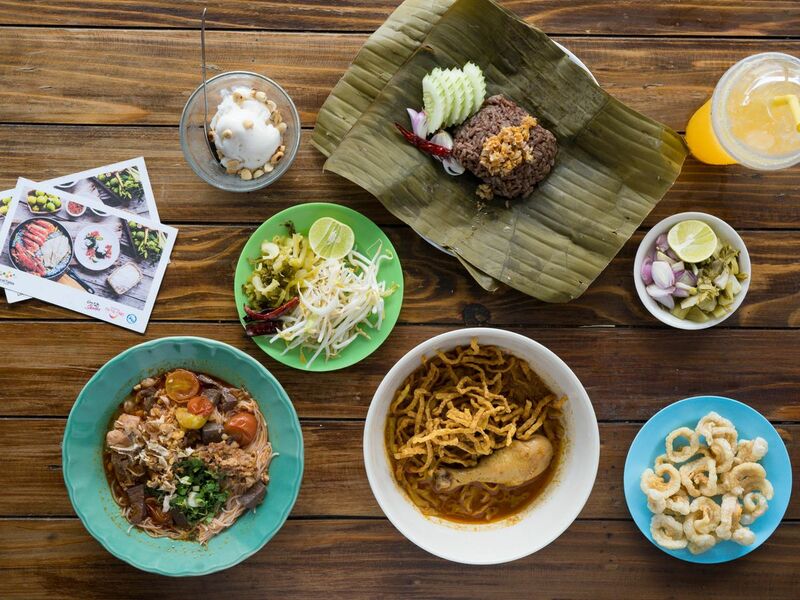 In addition to their famous Khao Soi, you'll get to try other rare Northern Thai dishes. See the unique ancient chedi in Mon-style. It's believed to enshrine the first queen's ashes (Queen Chama Devi). Enjoy a coffee break and playing with my cute and rare Thai cats. See one of the oldest city in Thailand. Trying local food and playing with cute Thai cats. Polite suite for visiting temple.